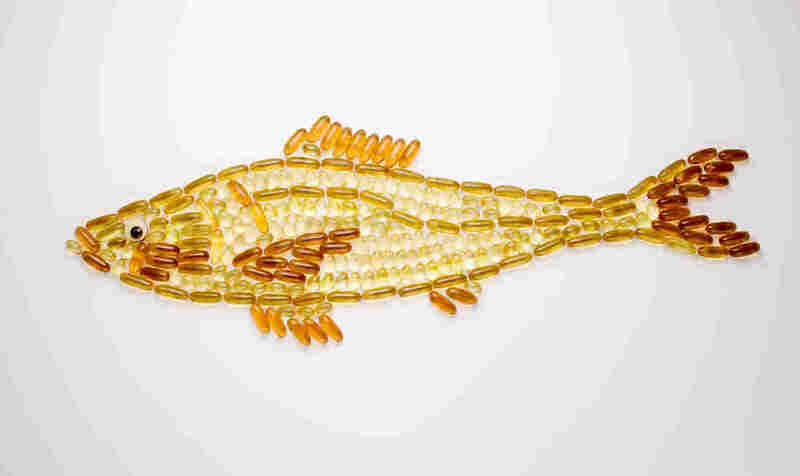 Fish Oil During Pregnancy Might Reduce A Baby's Asthma Risk : Shots - Health News But that's not the final word, caution pediatricians, including the Danish author. It's one of several recent studies with contradictory findings that suggest the supplements could help or hurt. "I would say that the finding that the effect was there was maybe not the surprise, because there have been indications," says the study's lead researcher, Dr. Hans Bisgaard, of the University of Copenhagen. "But the magnitude was very surprising to us." Bisgaard is a pediatrician and runs a privately funded research enterprise called the Copenhagen Prospective Studies on Asthma in Childhood. He is not the first person to study whether fish oil supplements during pregnancy can affect asthma, but his study was large and carefully designed. Bisgaard and his colleagues report their findings in Thursday's New England Journal of Medicine. He says by far the biggest benefit seemed to be among babies born to women who initially had low blood levels of the lipids found in fish oil. That means, he suggests, a simple blood test during pregnancy could identify the women most likely to benefit from supplements. Bisgaard calls this strategy "precision prevention," because it targets women who are likely to see the biggest benefit and distinguishes them from "another population who may not need, really, to get this supplement." Americans eat far less fish than Danes, so Bisgaard suspects a lot of the U.S. population would end up in the group who would benefit most from fish oil during pregnancy. But this one study doesn't prove that it will be generally helpful, and other studies have come to conflicting conclusions. "The confusion of the literature is overwhelming," Bisgaard says, "but the rationale for effect on inflammatory diseases is good." Inflammation is an important part of asthma. Small airways in the lungs can tighten up when they get inflamed. And laboratory studies suggest the lipids in fish oil may help those infant airways develop in a way that makes them less susceptible to inflammation. The study leaves many unanswered questions. Maria Makrides, a research dietician at the University of Adelaide in Australia, says she would not recommend that women take fish oil supplements based on this study. Her own recent research, with a design similar to that of the Danish study, did not find that fish oil supplements reduced wheezing or other allergy symptoms. Makrides has also published a review that highlights inconsistencies among published studies. "It will be important to understand the differences we are seeing in some studies before we make strong general recommendations," Markrides told Shots in an email. Dr. Ellen Mozurkewich, an OB-GYN at the University of New Mexico, agrees with that go-slow approach. She has also studied the relationship between fish oil and asthma and says she finds the Danish results "intriguing" but that she wouldn't recommend the supplements for her patients for this purpose. She does recommend fish-oil supplements to women who don't eat fish, but far less than the amount used in the Danish study. Mozurkewich says several studies show that women who take fish oil supplements during pregnancy tend to have larger babies. "If you're prone to having a low birth weight kid, it might be good, and if you're prone to having a big kid it might be bad," she says. The babies in her fish-oil study gained about a pound on average, though weight gain was less dramatic in other instances. The mothers "also did have more interventions for prolonged pregnancy," Mozurkewich points out, which, in turn, can lead to a more complicated delivery. It would be great to run a really big study, at multiple universities, she says, to figure out whether fish oil really would prevent asthma in a diverse population. Bisgaard agrees that his one careful exploration of the topic is not the final answer. "The problem," he laments, "is it's very, very difficult to get funding for these kinds of very patient studies." You need a decade of steady funding, he says, and that's not going to come from a drug company. Preventing asthma many be important for public health, Bisgaard notes, but it's not appealing to a pharmaceutical company looking for its next lucrative product.